All of you must have heard about the term “Fibonacci series”. Many of you (including me) might have written programs in different programming languages to generate a “Fibonacci series”. It is quite interesting to see that tutorials of all programming languages would contain a problem to generate fibonacci series upto “N” terms. Well, this made me a little curious. What is so important with this particular series? In mathematics, there may be a 100 or 1000 types of series – but why “Fibonacci” is learned by everyone? Now let’s get into the story. Fibonacci series is – 0,1,1,2,3,5,8,13,21,34,55,89,144,233,377… it moves to infinity. 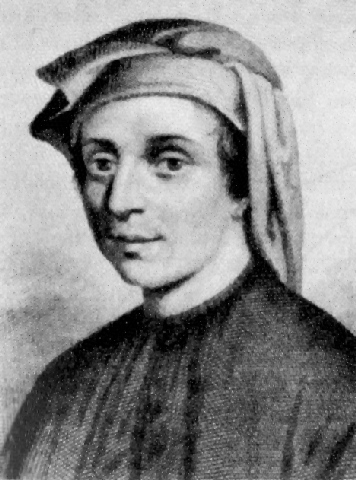 This series is named after the famous Italian mathematician – Leonardo of Pisa (aka Fibonacci). His period of life is assumed to be in between 1175 AD to 1250 AD. Leonardo’s father was a merchant in the port of Pisa. As a young boy, Leonardo traveled extensively with his father across the mediterranean sea shores. The Mediterranean sea (known in latin as “middle of land”) connects together 3 continents – Africa, Europe and Asia. Trade had been happening between major ports of all these continents and Leonardo actively involved in these trades with his father. Leonardo and his people who belonged to Europe, was using Roman numerals for trade calculations. The Europeans were completely unaware of the “Hindu Arabic” system which was used by Arab traders in Asian/African countries (this is the presently known decimal number system ). The basic difference between a Roman numeral system and “Hindu Arabic system” is shown below. Roman Numerals has no symbol for zero. They dont have a symbol for 2,3,4,7,8 and 9. Instead they were depending upon the symbols for 1,5,10,50,100,500 and 1000 for their calculations. See the table below. So to represent 1910 – Romans would write – MDCCCCX. The interesting thing is you can write this in any order – means – CCCCDMX – would also read 1910. This is because the number is read finally by calculating M+D+C+C+C+C+X. It was very difficult to add or subtract two numbers using the roman number system. If you are interested in knowing how calculations are performed in roman system – follow this link – Roman numeral calculations. The “Hindu Arabic” system was quiet different. They only had symbols for numbers from 0 to 9. This is our decimal number system. Higher numbers were represented in this system by repeated addition or repeated subtraction. This means 1910 in “Hindu Arabic” is 1000 one times + 100 nine times + 10 one time + 1 zero times. Leonardo learned about various methods used by merchants for calculations and he found the “Hindu-Arabic” system very easy and convenient to perform mathematical calculations compared to the cumbersome “Roman numerals” method. He later introduced this “Hindu Arabic” system in Europe and he documented the system and how to make calculations using this system in a book called “Liber Abaci” (1202 AD). This “new” system later influenced many European mathematicians. This series is invented by Leonardo in an attempt to solve a real life problem. A rabbit farmer wanted to know how many rabbits he can grew in a year from one pair. The problem is quiet an interesting one. A pair of rabbits bear another new pair in a single month. This new born pairs can bear another pair after the first month. Because the above written pair in the first month bore, you will double it; there will be two pairs in one month. So that is the real origin of Fibonacci series. This series is invented in an attempt to solve a real life business problem of – “how many rabbits can be made from a single pair in an year” . I said, “business problem” because Leonardo was basically involved in trade and this problem of rabbits might have raised to him by one of his business contact! After the eighth sequence of calculations, there are constant relationships that can be derived from the series. For example, if you divide the former number by the latter, it yields 0.618. And, if you divide the latter number by the former, it gives 1.618. 1910 is more simply written in Roman numerals as: MCMX, 1000, 1000-100=900, plus X =1910. Since 1950 till 2000 Roman numeral dates have been written wrong. 1950 = MLM; and not MCMXC, 1975 = MLMXXV. Thanks Jim. I am not an expert in Roman Numerals. I explained it here for the fulfillment of my article. @Akshay – Please read it again. I have mentioned – “the pattern after the 8th number in the series”. It was a typing error. Thanks for notifying. Corrected! doesnt fibonacci series starts with 1,1,2?